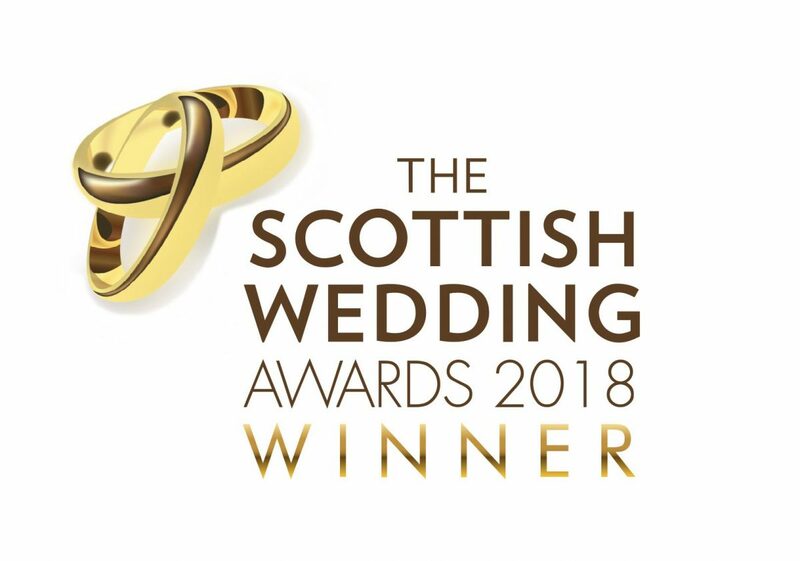 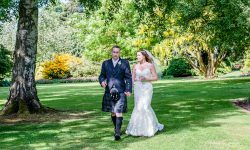 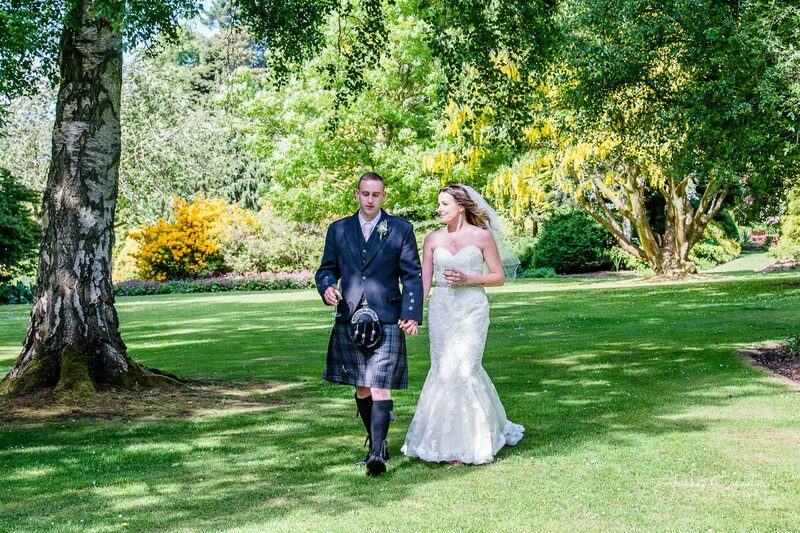 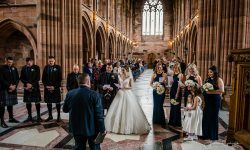 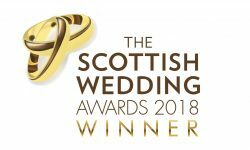 Easterbrook Hall, Scottish Wedding Venue of the Year in 2018, will host an Opening Evening in Dumfries on Thursday 31st May from 4pm-8pm for anyone looking for a stunning wedding venue to host their big day. 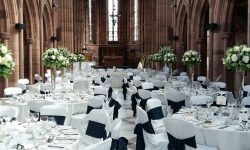 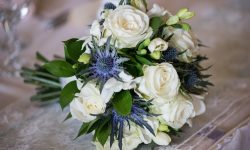 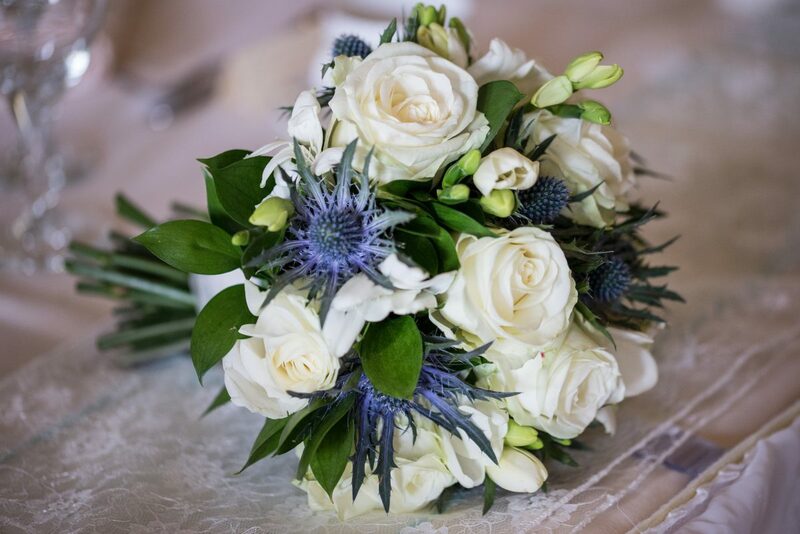 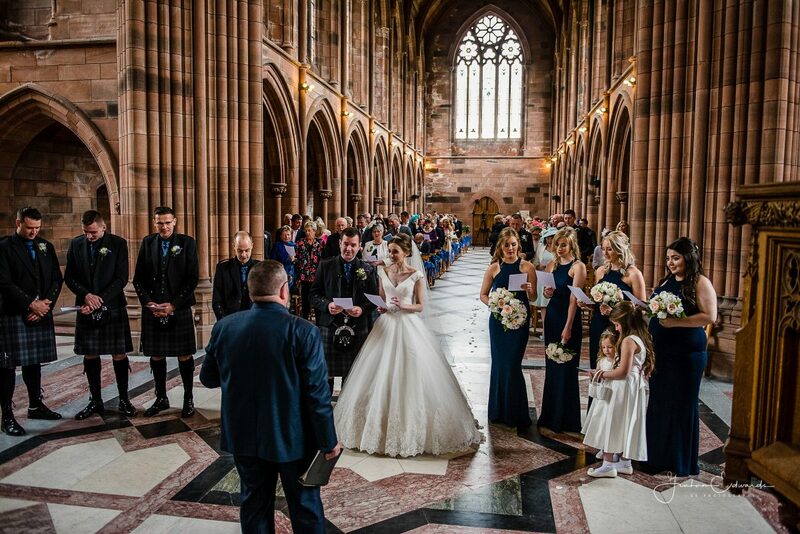 A Crichton Estate Wedding provides every couple with the opportunity to create their perfect wedding day, whether looking for a more traditional church ceremony, photographs in the Crichton gardens and a reception in Easterbrook Hall or the ‘Wine and Dine’ package in the Crichton Memorial Church. 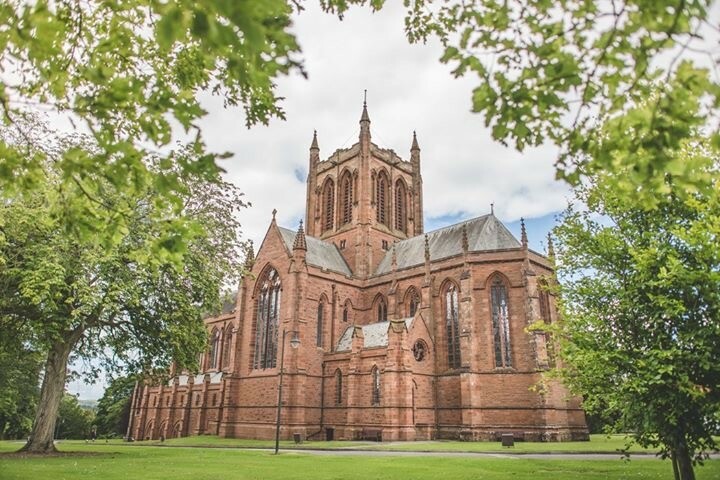 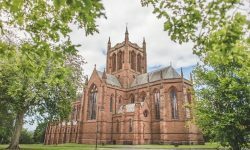 During the open evening guests will be able to visit the Main Hall and Duncan Rooms in Easterbrook Hall and take a walk down to the Crichton Church. 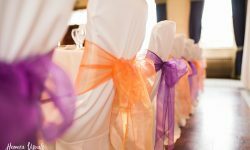 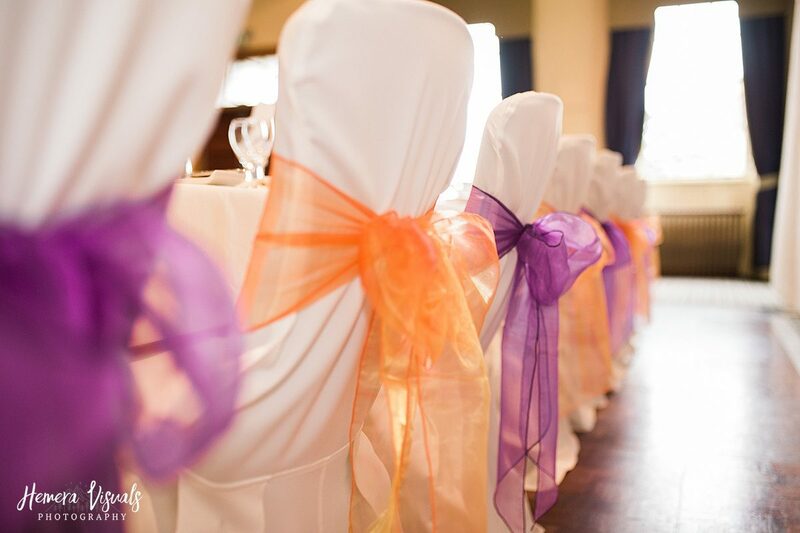 The event will be supported by a number of local wedding partners including Tantrum Events, Light Up Your Venue, Jingles Disco and Macc Design and together with the Easterbrook Hall events team can provide inspiration and advice to anyone looking to book a venue or add finishing touches to their wedding plans. 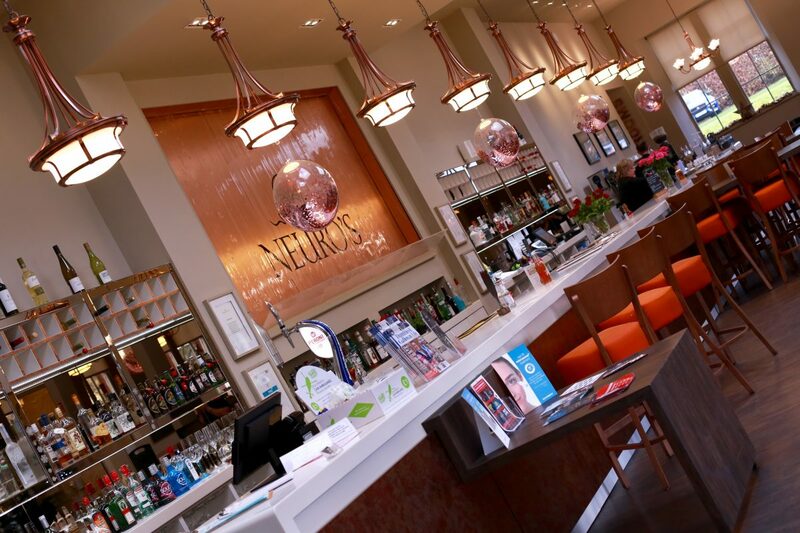 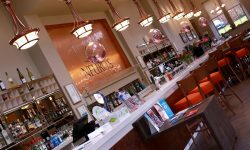 The team from Easterbrook Hall will also be able to put visitors in touch with other local wedding specialists covering photography, car hire, venue accessories, table décor, wedding stationery, hotel accommodation, music, wedding dresses, beauty, cakes and flowers, as well as provide information about the beauty, spa and hospitality services available at Neuro’s Bar, Restaurant and Spa. 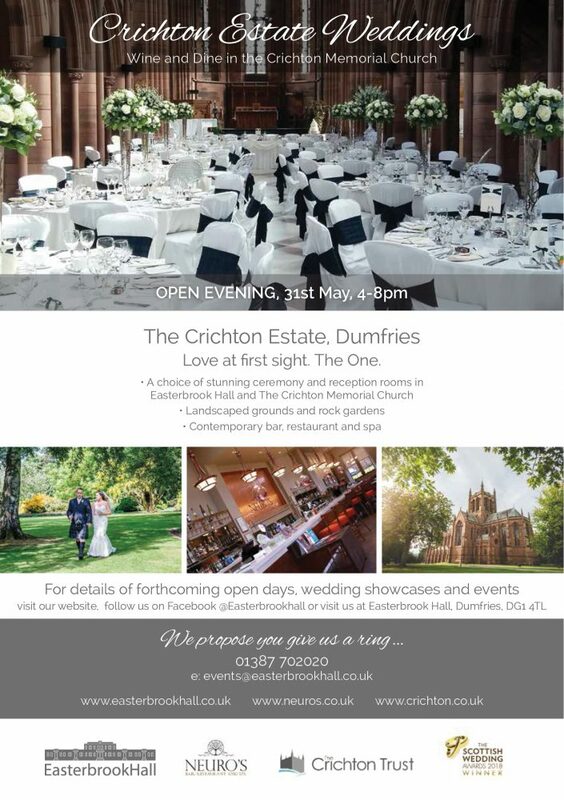 If you can’t make it along on the night or if you would like more information please call 01387 702020.